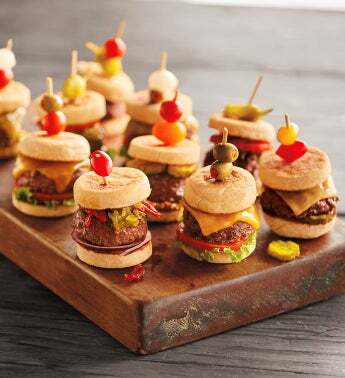 Create a mini burger masterpiece. Stock Yards® mini steak burgers, made from USDA Choice Black Angus beef, are ideal paired with Wolferman's® 1910 original recipe mini English muffins. Grill the burgers, lightly toast the muffins, and finish with your favorite toppings to make perfect sliders for picnics and parties.